The odds where updated at 2019-04-26 02:19:54. We reserve ourselves for any abnormalities. On 4/5, Wolverhampton will face Fulham. It's a match played in Premier League that will start at 15:00. Looking at the odds Wolverhampton are favourites to win, and Bethard is the betting company that offer the best odds at 27/50. If you believe that Fulham will win the game, even though the betting companies favours Wolverhampton, William Hill will give you the best odds of 6/1. The last match between Wolverhampton and Fulham in Premier League, which was played on 26/12, ended in a tie with a score of 1-1. Our betting tool, BetMate, is a service you can use in order to bet on Wolverhampton - Fulham. It works like an odds basket, to which you can add odds in order to calculate how to make the most out of your bet. Simply press the in order to add odds to your basket! Above, you'll find a list over different bets you can place at the betting companies so that you can compare them and find the best odds on the match between Wolverhampton och Fulham. In home matches this season, Wolverhampton has scored 27 goals in Premier League, meaning that Wolverhampton has an average of 1,50 per match. On home ground, Wolverhampton has conceded an average of 1,17 goals in this season of Premier League. Looking to the amount of scored goals in away matches, Fulham has scored a total of 12 goals in the 18 away matches they've played this season of Premier League. In away matches, Fulham has conceded an average of 2,44 goals in the 18 away games that has been played. Wolverhampton has scored an average of 1,26 goals per match in the 35 matches that has been played in Premier League this season. 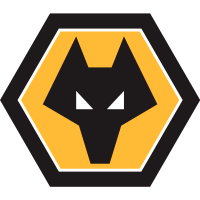 During the past season, Wolverhampton conceded a total of 43 goals in the 35 matches played in the league. In average, Wolverhampton has conceded a total of 1,23 goals per match. Fulham have in this season of Premier League scored a total of 33 goals. 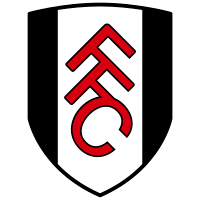 In the 35 matches that Fulham have played this season, an average of 0,94 goals has been scored per match. Wolverhampton has during this season conceded a total of 43 goals in the 35 matches that has been played in the league.